Happy Monday! Hope you all had a great weekend. Nolan and I spent Saturday at my mum’s while hubby was away doing a videography work. On Sunday evening, I went out to dinner with some friends; with everyone’s busy schedule, it is always nice to meet up for occasional dinner dates and chats. It was definitely a fun night with lots of food (catch it all on Instagram & Snapchat "Jadore-Fashion"). 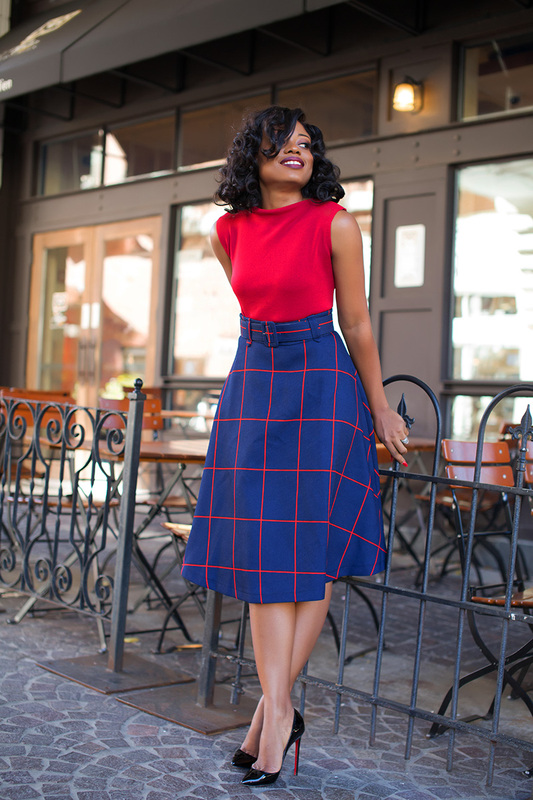 Today’s outfit is a mix of red and blue for a fun and chic work style in Chicwish’s window pane skirt. 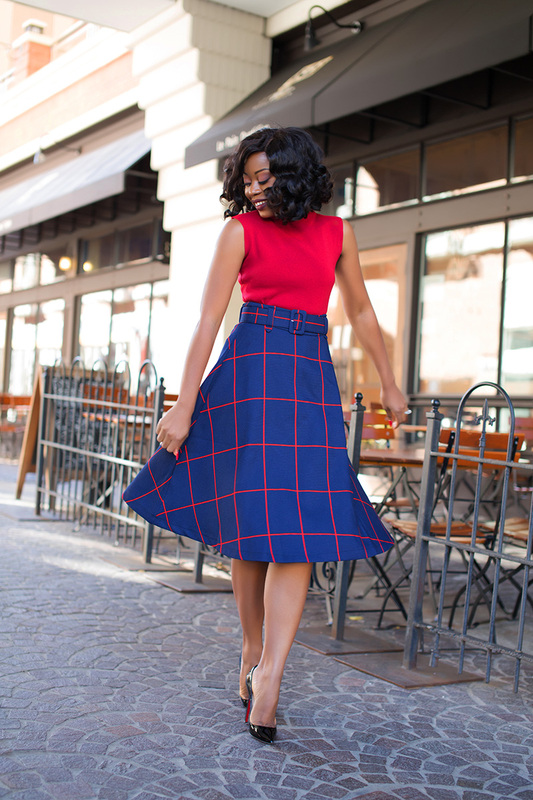 The grid skirt is chic, classy and best of all, currently on sale. I paired it with a trench coat which is weather appropriate and it will be a great outfit for the holidays. What are your thoughts? Just as you said; chic and classy. My thoughts are you look awesome Stella.Thank you very much for sharing about your weekend.Hope you had fun. U look amazing... Beautiful and Elegant.. Hot babe. You are working it. Love. Love your outfit darling, very classy! Yes! I just recently started shopping at chicwish. It is such a great online store I have to do more exploring but overall I love it. 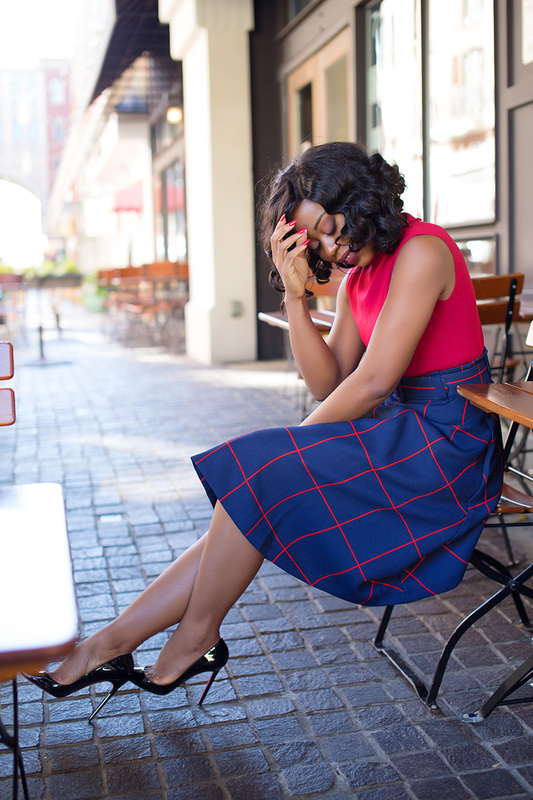 This skirt looks amazing on your. 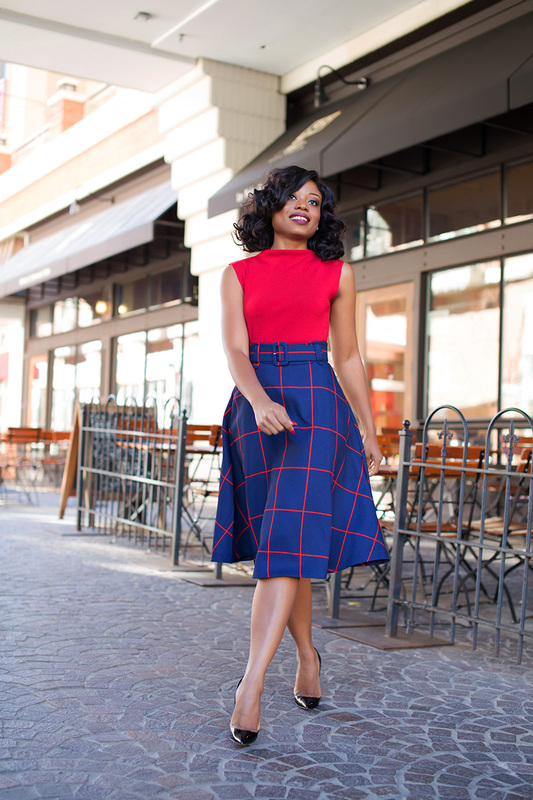 Such a great staple midi skirt. love!! !